xo ♥ amela: Loving yourself is bad? In a list of things that you love, how long would it take to say you love yourself? But really. This quote speaks to me dearly. 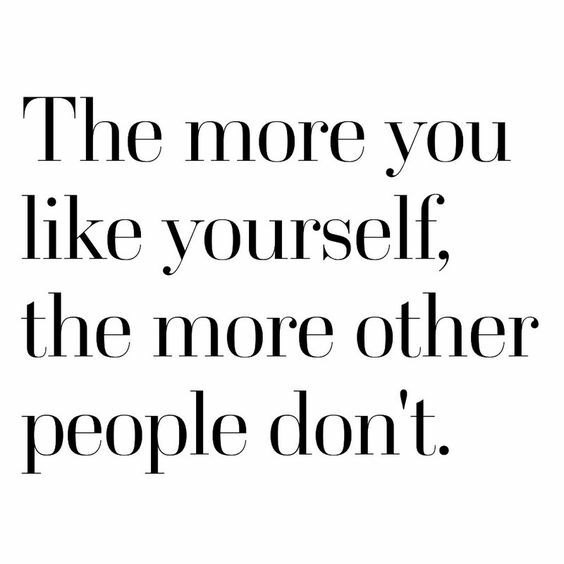 I had an incident (a few over the past years) where loving myself was seen as a very negative thing and I couldn't for the life of me understand why. I had a point in my life where I realized that I am amazing. 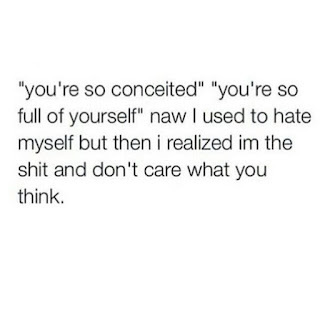 I was constantly getting complimented on my looks, personality, intelligence, humor, whit, the whole deal. I was always trying my best to succeed in life, going through school and work. I was always going out of my way to help others. 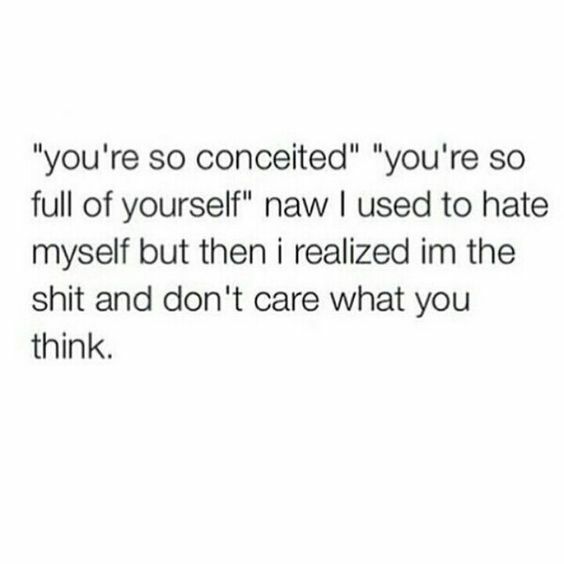 So it got to a point where I was, dare I say it, seen as conceited.. But again, why is that such a bad thing? Am I hurting anyone or anything? Am I bringing others down? Am I being a negative influence? I'd like to think quite the opposite. I realized that the ugly duckling I once was had turned into a swan so why not embrace it? I never understood why others saw that as a negative thing? Is it a cultural thing to not love yourself? Or do you just have to be neutral? If I saw a girl who loved herself, her personality, knows who she is and is confident, then that makes me want to be like her even more. That, to me, shows more positivity than anything. I think many people see cockiness associated with arrogance and that is not the case at all. I can be very in love with myself yet still be humble and caring towards others. So why is it a bad thing? I always use to get picked on in school because I didn't love myself enough.. and now it's not okay to love myself too much? Since when is love ever bad? I guess it's just something I'm never gonna understand. I'm never gonna understand the need for others who don't like themselves enough to pick on others who do love themselves. Let them do their own thing. If they wanna shout to the world about how awesome they are, let them. Better than shouting how much they hate themselves or others. There's too much negativity in this world as it is.